Woody Accouche Project. An acoustic and organic band that blends the subtleties of classical instruments with contemporary folk, rock, rhythm, and lyrics. The unique blend of musicians merges an upbeat and peppy vibe to a variety of classic and contemporary English covers. They launched a Debut Reggae Folk Rock Album titled `Jive Tribe` in 2017. 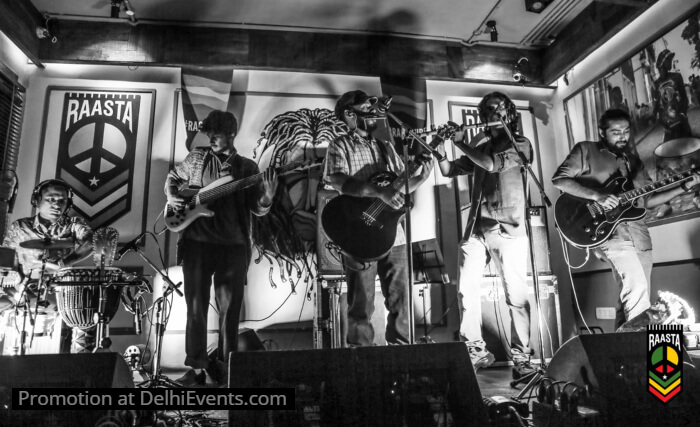 Calvin Wumbaya is a Singer/Songwriter and Founder of the Reggae Folk Rock band Woody Accouche Project at Delhi, India. A composer and live performer of essentially Reggae and Folk music, his influences include Grunge, Blues and a range of Classic and Contemporary rock music. The Debut Album, `Jive Tribe` was launched in 2017.